Prominent & Leading Manufacturer from Chennai, we offer champ rain coat, fire retardant fabric, tarpaulin tent and garden tents. We are dealing champ long coat in duck back models also, mostly available in khaki colour, with rubberised coating, mostly used for police department and corporate people. Industrial fire retardant fabrics are more resistant to fire than others. 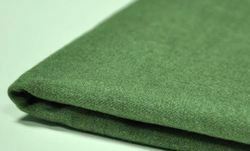 Fr or fire resistant fabrics are being manufactured inherent or coated fire resistant fabrics. Fr or fire resistant fabrics are used as a blanket fabric where welding work is carried out. 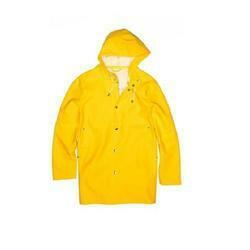 They are also used as welding wearing suits, industrial uniforms & fire resistance suits. 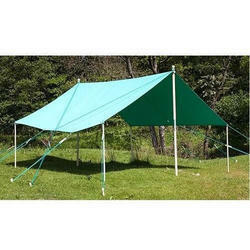 A tarp tent is commonly lighter and cheaper than a tent and easier to set up. 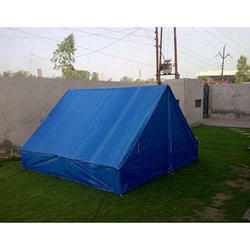 However, because it is more open, it does not provide as much protection from rain, snow, wind, or cold as a tent does. It provides no protection from. More Sophisticated tarp tents are now manufactured] or homemade with such things as bug screening and storm flaps on the ends and even floors and vents. According to harvey manning in his book backpacking one step at a time (the rei press seattle), "the term 'tarp-tent' as used here denotes a broad category which at one boundary is nothing more than a shaped tarp and at the other end verges on a 'true' tent.